Quick Ratio or Acid Test Ratio is one of the most important Liquidity Ratios for determining the company’s ability to pay off its current liabilities in the short term. It goes by the formula. 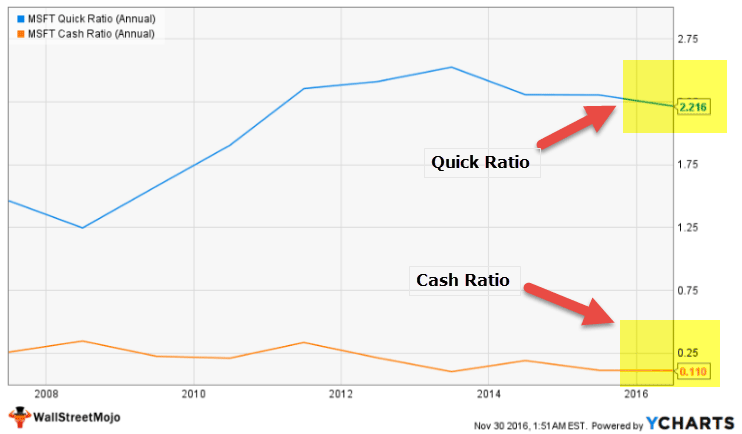 The Quick Ratio Formula is a more stringent measure of short-term liquidity as compared to Current Ratio. Quick Assets are the ones which can be converted to cash in short term or in a period of 90 days. The important difference between Current Ratio formula and Acid Test Ratio formula is that we are excluding Inventory & Prepaid Expenses as a part of Current Assets in Quick Ratio formula. Inventory is excluded because it is assumed that the stock held by the company may not be realized immediately. The inventory could be in the form of Raw materials or W-I-P. Such a situation will make the process of liquidating the inventory all the more tricky and time-consuming. An acid test ratio of 1 or more indicates that the company can pay off its current liabilities with the help of Quick Assets, and without needing to sale off its long term assets and has sound financial health. Care must be exercised in placing too much reliance on acid test ratio without further investigating; For e.g. : Seasonal businesses, which seek to stabilize production, might have a weak Quick ratio formula during its period of slack sales, but a higher one in case of its peak business season. Such situations may prove tricky to know the actual financial position of the company. Keeping track of Quick ratio formula helps the management to determine whether they are maintaining optimum levels of Quick assets so as to take care of its short term liabilities in their balance sheets. 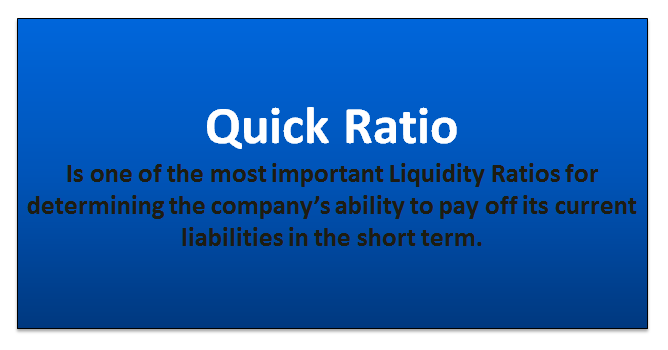 Quick Ratio formula showcases a well-functioning short term financial cycle of a company. This improves the credibility of the company with the investors by gaining and maintaining their trust in the value of their investments. Also the creditors of the company know that their payments will be made on time. Total Current Liabilities = $440,000. Let’s now look at the example of Microsoft acid test ratio . As noted from the below graph, Cash Ratio of Microsoft is a low 0.110x, however, its acid test ratio is a massive 2.216x. 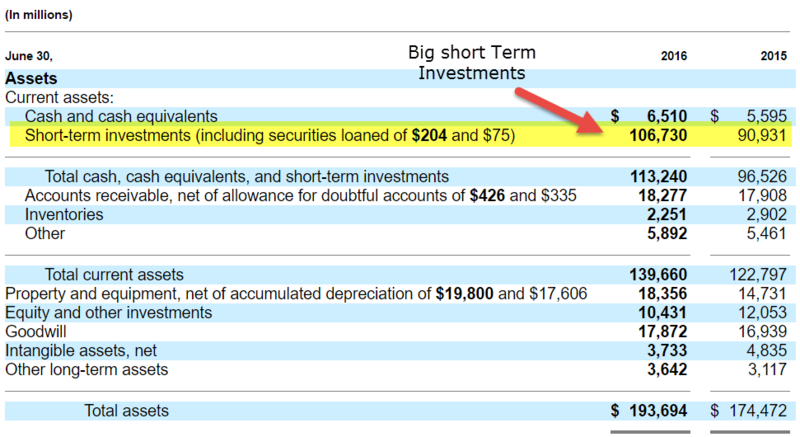 Microsoft acid test ratio is pretty high primarily due to short-term investments of around $106.73 billion! This puts Microsoft in a very comfortable position from the point of view of liquidity / Solvency. As per previous year, the company had a acid test ratio of 1.4, whereas this time it amounts to 0.68. From this, we can figure out that the company has not maintained enough Quick assets to pay off its current liabilities. It shows that the company will face potential liquidity problems. It might have to sell off its long-term assets to pay off its liabilities if needed, which is not a sign of a healthy and well-managed balance sheet. The company should maintain the an acid test ratio to at least 1, which is considered ideal and satisfactory. This is very simple. 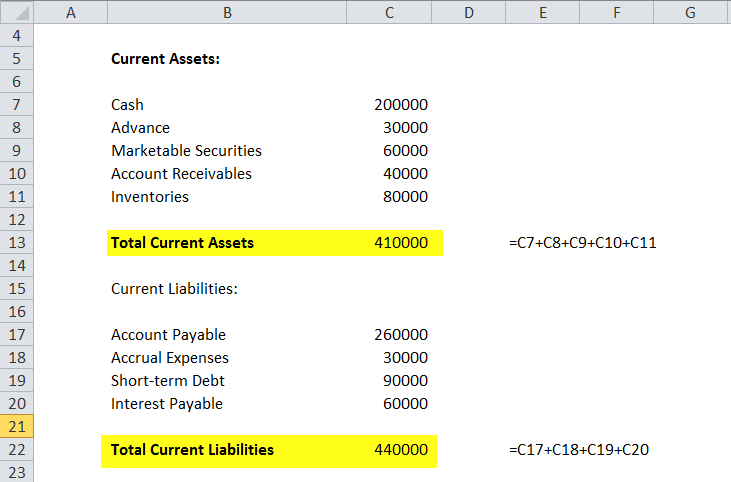 You need to provide the two inputs of Total Current Assets and Total Current Liabilities. You can easily calculate the ratio in the template provided. The post Quick Ratio Formula | Calculator (with Excel Template) appeared first on Learn Investment Banking: Financial Modeling Training Online.